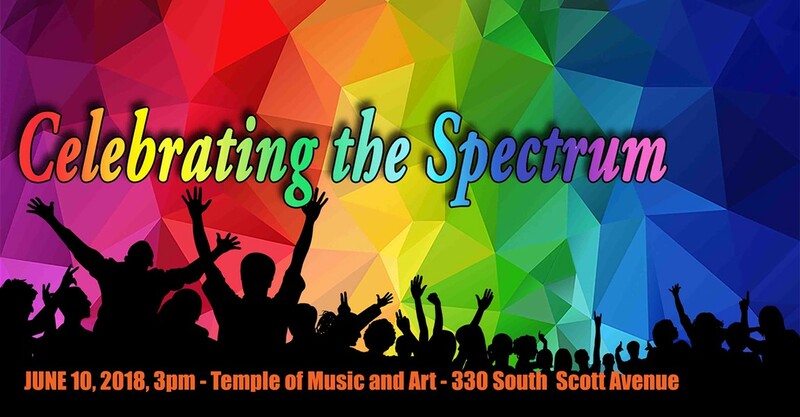 Celebrating the Spectrum 2018. Desert Voices, Tucson’s premier gay, lesbian, bisexual, transgender and ally chorus, is all about the idea that anyone can sing. And not just anyone on the LGBTQ+ spectrum. Anyone, regardless of creed, age, background, age, race or pizza topping preference. (Even anchovy lovers are welcome here.) For this event, Desert Voices is hosting GALA choruses from throughout Southern Arizona and Southern California to celebrate equality, diversity and the unity found in love of music. 3 to 5 p.m. Sunday, June 10. Arizona Theatre Company, Temple of Music and Art, 330 S. Scott Ave. $25 door, $20 advance, $15 student. 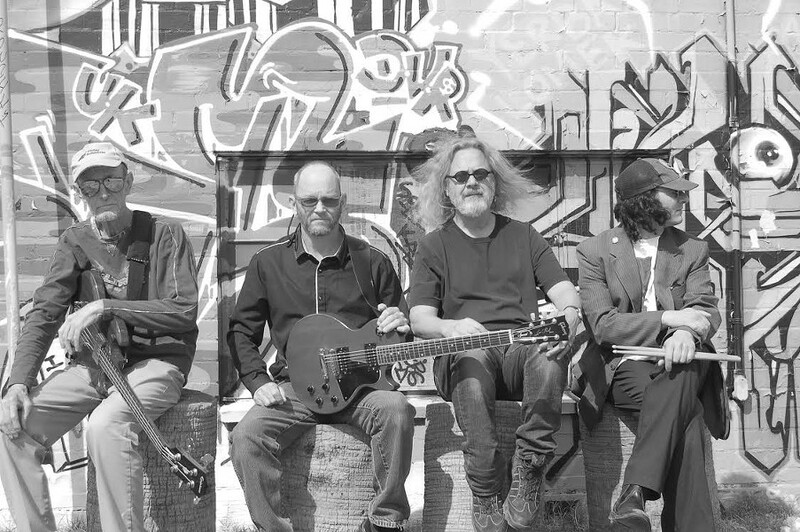 Summer Sizzlers–Cool Hot Jazz for the Summer. Here come the Dixie Cats, the swinging jazz group that’s known for playing the tunes of old NOLA. Their show “A Brief History of Jazz” will play tunes all the way from late 19th-century ragtime to late 20th-century big band swing and trad-jazz. 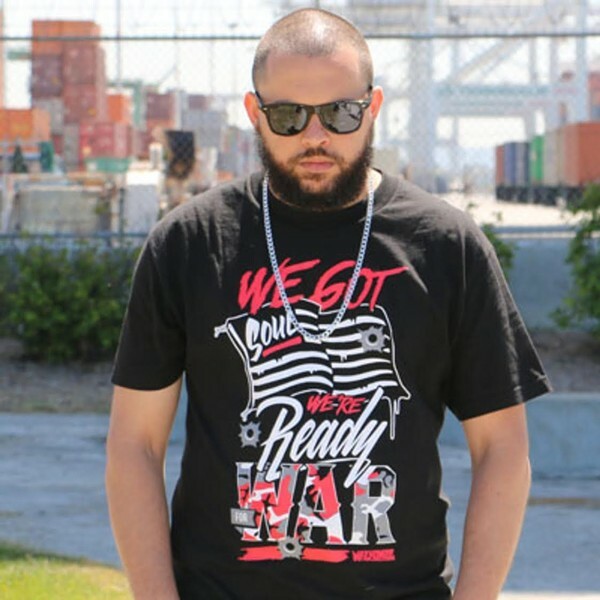 This is the first in the St. Philip’s in the Hills Friends of Music summer concert series, so if you enjoy this, you can look forward to Grupo Riken, the Puerto Rican/Latin Jazz group, playing in July. 2 p.m. Sunday, June 10. St. Philip’s in the Hills Episcopal Church, 4440 N. Campbell Ave. Suggested admission is $15. Students with ID admitted at no charge. 1812 Overture by the Tucson Pops Orchestra. June is upon us, so it’s only natural that, thanks to the Tucson Pops Orchestra, tunes are upon us as well. At this evening event in the park, you’ll hear music from Miss Saigon, a Tchaikovsky piece, “America the Beautiful,” and, in the young conductors’ portion, even “La Bamba.” Grab your blanket or folding chair—heck, bring a picnic if you want—and settle in for an evening of music. 7 p.m. Sunday, June 10. DeMeester Outdoor Performance Center at Reid Park, 900 S. Randolph Way. Free. Etherton Gallery’s Summer Exhibitions. No matter what kind of art you like, you’ll want to make it a point to head to Etherton this summer. Their photography exhibition, “From the Archive: Masters of 20th Century Photography,” showcases work by American modernist photographers like Ansel Adams, Robert Frank, Annie Leibovitz and Eugene Smith. Hand-colored bird and flower photography by Tucson artist Kate Breakey will be on display in the pop-up gallery. And they’ve also partnered with The Skateroom to display editioned artwork on skateboards (designed to be hung on the wall, but could be used for skating as well) by artists such as Andy Warhol, Shepard Fairey and Ai Wei Wei. A portion of gallery sales of the skateboards will go into a fund for Cushing Street Skate Park, a needed covered skate park for Tucson youth. On display through the end of August. Opening reception 7 to 10 p.m. Saturday, June 9. Etherton Gallery, 135 S. Sixth Ave. Free. Our Stories: High School Artists. Teenagers, long considered more like children or adults depending on what’s convenient for adults in the moment, are (to borrow a phrase from teenagers) having a moment right now. This exhibit at the UA’s Museum of Art showcases work from by artists from five high schools all over the Tucson area. Whether it’s inspired by a prompt, a social issue, literature or even in video games, these students are making statements and making art. Art teachers from each school selected art for submission to the museum, and the museum is showing off the technical skill, creativity and ingenuity of Tucson’s high schoolers. Exhibit is showing through Sunday, Aug. 26. 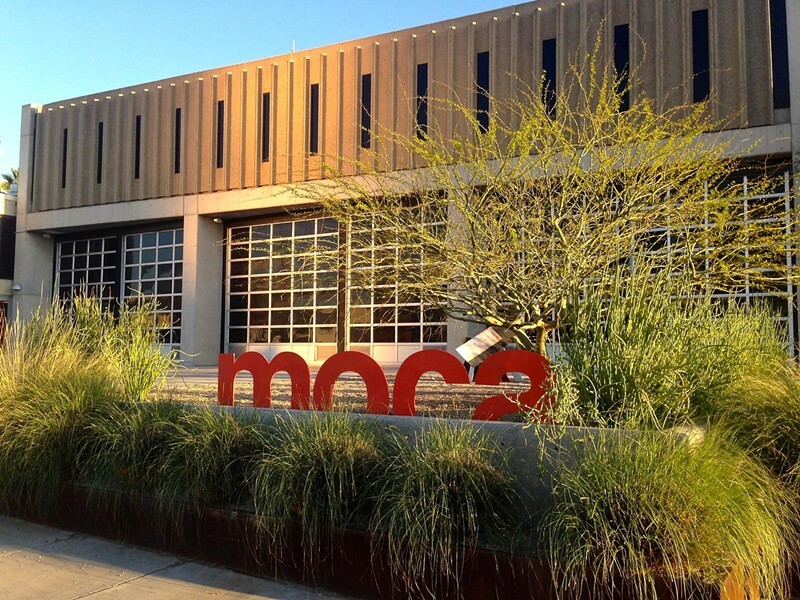 Museum hours usually from 9 a.m. to 4 p.m. University of Arizona Museum of Art & Archive of Visual Arts, 1031 N. Olive Road. Great Summer Art Auction. Well, the title of this event pretty much just says it all, doesn’t it? The Madaras Gallery is having a summer art auction, and there’s no mediocre art to be found here. The whole silent auction is two weeks long, so you have plenty of excuses to keep going back to look at the art, and to try to distract your art nemeses from outbidding you. The bidding kicks off at the gallery’s first Thursday party from 5:30 to 7:30 p.m. on Thursday, June 7. There’ll be wine, cheese, Diana Madaras herself and a special surprise. Silent auction ends Thursday, June 21. Gallery hours are 9 a.m. to 5 p.m. Monday through Saturday and 11 a.m. to 5 p.m. on Sundays. Madaras Gallery, 3035 N. Swan Road. Folkert de Jong: Last Nation. Folkert de Jong, who lives and works in Amsterdam at the moment, uses his work to explore imperialism, violence, and the way we all become desensitized to atrocities over time. He doesn’t shy away from making big statements in his sculpture and painting works, like in “Totemism,” where he portrays Sukarno, George Washington and Hernan Cortes. His focus is primarily on power balances, politics, war and ecology in the Netherlands, but using themes and methods that are easily understood in a U.S. context as well. In his own words, “If we do not see ourselves as one in a vulnerable world, we will be the generation that is responsible for initiating the end of humanity.” Mic drop. Hightail it over to MOCA to see this exhibition. Wednesday through Sunday, noon to 5 p.m. Museum of Contemporary Art, 265 S. Church Ave. $5 GA, $3 seniors, military, students. The New Art Show: “Paradigm Shift.” Solar Culture Gallery is hosting a chance for you to show your art—yes, you! If you bring your art in by the evening of Thursday, June 7, they’ll show it at this exhibition, free of charge, free of jury and free of worry. But full of fun and opportunities! In keeping with the DIY spirit, the art show’s opening reception is a pot luck! Free of worry and jury, but full of curry? Opening reception 6 to 9 p.m. on Saturday, June 9. Solar Culture Gallery, 31 E. Toole Ave. Free. 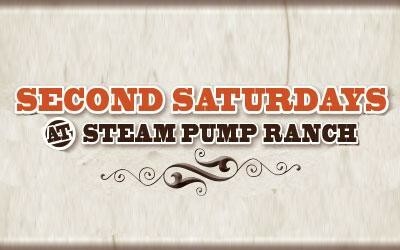 Second Saturdays at Steam Pump Ranch. Just like the rest of the year, the Oro Valley Farmer’s Market will be at Steam Pump Ranch every Saturday from 8 a.m. to noon throughout the summer. But to make the heat a little more bearable, they’re offering a little extra. This Saturday, there will be Fathers’ Day gift craft for kids (and hey, it can’t hurt to pop by the craft booth to gain a little inspiration if you’re an adult who hasn’t picked up a gift for dad yet). The first 20 people who walk or bike on the shared-use path to the market can stop by the parks and rec booth for a $1 off coupon. Just make sure you drink plenty of water! 8 a.m. to noon. Saturday, June 9. Steam Pump Ranch, 10901 N. Oracle Road. Free entry. Second Saturdays Downtown. You know the drill: It’s always happenin’ downtown on a Saturday night (and it’s usually happenin’ downtown on all the other nights). But on second Saturdays, there are drink specials too! Stop by Charro Steak (188 E. Broadway) from 4 to 6 p.m. and 9 p.m. to close, Downtown Kitchen and Cocktails (135 S. Sixth Ave) from 4 to 6 p.m., Maynards (400 N. Toole) at 10 p.m. for reverse happy hour, and Penca (50 E. Broadway) from 3 to 5 p.m. for happy hour. There are so many happy hours that you might only have to pay for a couple drinks between 6 and 9. But even then, you’ll be downtown on a Saturday night, and what’s not happy about that? 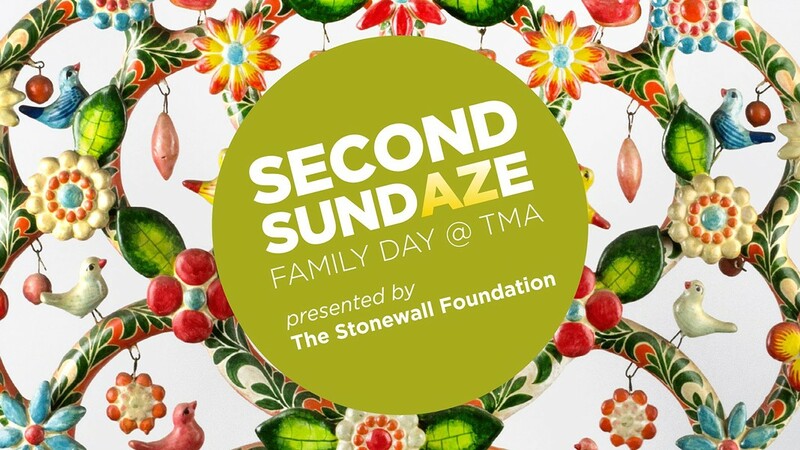 Second SundAZE Family Day @ TMA. Mosey on over to the Tucson Museum of Art for FREE at this event presented by the Stonewall Foundation. As if free admission to the museum’s regular exhibits weren’t enough, there’s also opportunities to learn more about its Latin American Folk Art collection by making your own collage molas and tin ornaments. There’s also storytime in the galleries at 1 p.m. and a performance by Mariachi Sonidos De Mexico at 3 p.m. Let’s get it art-ed! 10 a.m. to 5 p.m. Sunday, June 10. Tucson Museum of Art and Historic Block, 140 N. Main Ave. Free. Art after Dark. 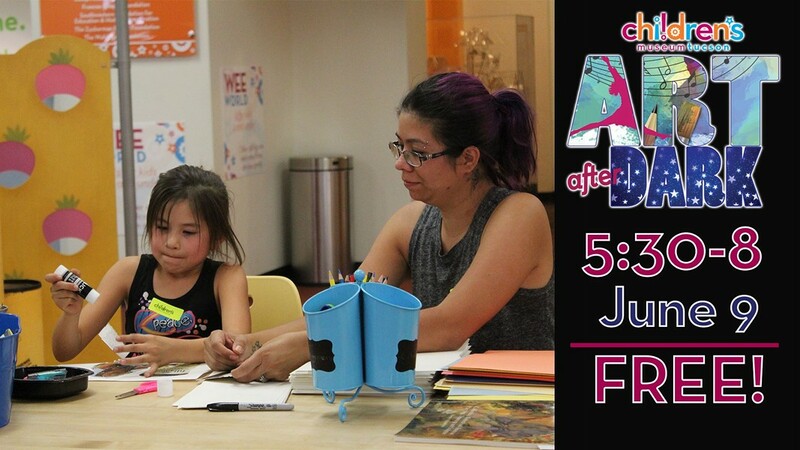 The Tucson Children’s Museum is partnering with Artabilityaz this month to bring art, literature, accessibility and fun to the masses. Artabilityaz uses the arts to help young kids—including those with disabilities, to explore commonly taught themes. At the museum, they’ll be reading a sensory-based version of the old standby, “The Very Hungry Caterpillar,” and leading a craft to make stick puppets of the caterpillar and the (spoiler alert) butterfly. The first 400 people who attend Art After Dark get a pass for one free visit to the museum! 5:30 to 8 p.m. Saturday, June 9. Children’s Museum Tucson, 200 S. Sixth Ave. Free. Kids must be accompanied by adults, and vice versa. 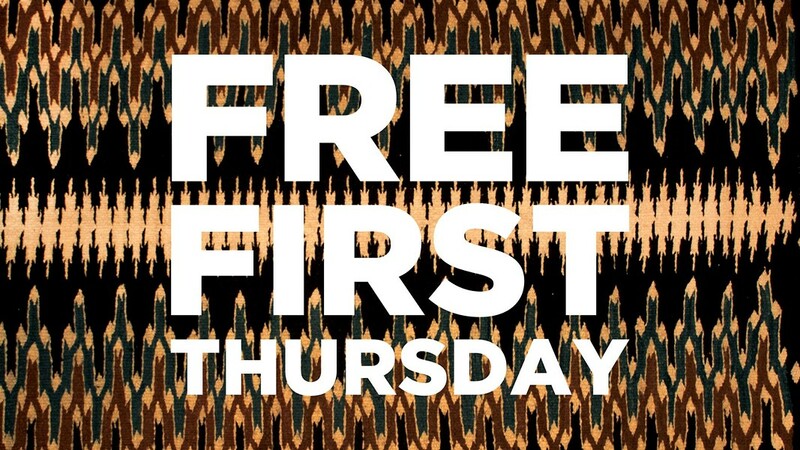 Free First Thursday at the Tucson Museum of Art. Thursday is practically Friday, and Friday is practically the weekend, so let’s party over at TMA! Mariachi Sonido de Mexico and Ballet Foklorico Tapatio are performing, and patrons can enjoy a temporary Mayo textiles exhibit, buy drinks, make art at several stations and stop by the Museum Store for a reception for June’s featured artist, Heather Frietas. Frietas is an eco-art activist who creates her works using recycled materials. 5 to 8 p.m. Thursday, June 6. Tucson Museum of Art and Historic Block, 140 N. Main Ave. Free. Cool Summer Nights. Try to ignore the fact that technically, summer hasn’t even started yet, by learning about cooler climes at the Arizona Sonora Desert Museum. This week’s theme is World Oceans Night, and they’re going all out! Fini’s Landing, Primo, Maynards, Hotel Congress and the museum’s own Craft Culinary Concepts will be offering up free sustainable seafood tastings to get you started, and then you can spend the night exploring all sorts of activities. From Shaun Pipes, “The Shark Guy,” to a session on how you can help protect the world’s oceans to a book signing by Marilyn Malone and Betty Hupp to live flute music, you’ll be waving from the shore as you watch your troubles drift out to sea. 6 to 9 p.m. Saturday, June 9. Arizona-Sonora Desert Museum, 2021 N. Kinney Road. $22 GA, $20 seniors 65 and up, $9 kids 2 to 12, $18 military, $17 Arizona/Sonora resident. Summer Safari Nights. Summer Safari Nights are supposed to be a nice reprieve from the dry heat of Tucson in the summer. And they are. But this week, the event comes with a little dose of irony as we celebrate World Ocean Day and the importance of water conservation. But don’t worry—your thirst for cuteness will certainly be quenched by animals like otters, armadillos, flamingos and tapir, and your thirst for knowledge on where to find sustainable seafood will be quenched as well when you learn about programs like Seafood Watch. Plus, can’t-miss entertainment by Shrimp Chaperone. 6 to 8 p.m. Friday, June 8. Reid Park Zoo, 3400 Zoo Court. $10.50 adults, $8.50 seniors, $6.50 kids 2 to 14. Half off for zoo members! FC Tucson Women vs. Phoenix Del Sol. The women’s division of Tucson’s own semi-professional soccer club is facing off against Phoenix Del Sol, our northern neighbor’s team, for their fourth game of the 2018 season. Whether you’re invested in the age-old rivalry between the two cities, or whether you don’t even understand how there could be a rivalry, when Tucson is so far superior, you won’t want to miss these women playing their hearts out. 5:30 p.m. Friday, June 8. Kino North Stadium in the Kino Sports Complex, 2500 E. Ajo Way. See fctucson.com for more info. The Pima County Home & Garden Show. It’s an HGTV enthusiast’s dream come true: free seminars on everything from how to hire the right contractor to how to save money on home maintenance, a chance to win one of three $2,500 luxury vacations, and plenty of opportunities to see the latest and greatest options for landscaping and remodeling. Spouses and partners of HGTV enthusiasts, never fear! There’s also free food! Barbecue from Barnfire Mesquite Grill, Gelato from Blue Ice Gelato, cold brew from Yellow Brick coffee, Hawaiian barbecue from Mama’s, ice cream from Isabella’s and Chef Barry Infuso and made-to-order omelets from Chef Michael Briceno, the actual king of omelets. First 200 attendees each day get a free plant! And the last one there’s a rotten egg! 10 a.m. to 6 p.m. Friday, June 8 and Saturday, June 9. 10 a.m. to 4 p.m. Sunday, June 10. Tucson Convention Center, 260 S. Church Ave. $8 GA, free for active military and kids 16 and under. Free for seniors 55+ on Friday only. There’s a $2 off coupon on their website! Putt-ing Kids First. Get ready to putt some golf balls on the mini-green, but not until you’ve putted some children first. Obviously, you’re not really going to be whacking kids at this event. In fact, you’ll be a part of the Blair Charity Group’s weeklong Arizona Basketball Academy camp for kids. Campers get unlimited access to games and attractions at Golf N’ Stuff (including laaaaaser taaaag), and the ticket prices include unlimited golf, bumper boats, laser tag, batting cages, arcade games, face painting, a photo booth and food. And more! Get to the green! 6 to 10 p.m. Friday, June 8. Golf N’ Stuff, 6503 E. Tanque Verde Road. $25 adults, $20 kids, $100 family pack (two adults and three kids). 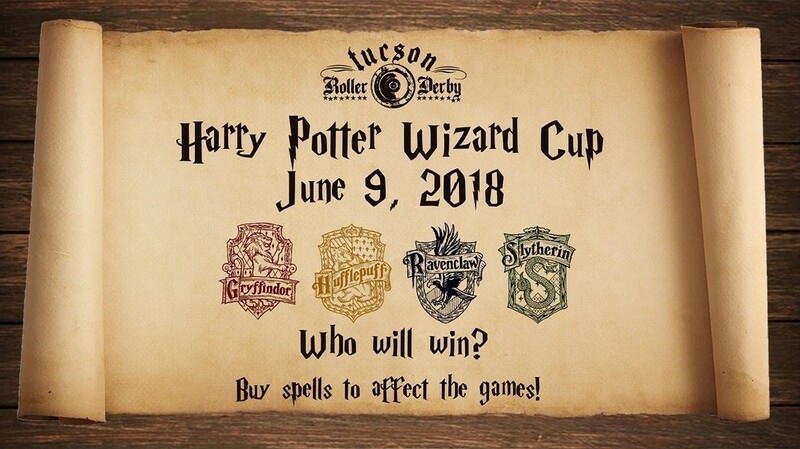 Tucson Roller Derby Harry Potter Wizards Cup! Students at Hogwarts have plenty of chances to show off their skills with a broomstick, but how often do you get to see the best roller skaters in the school duke it out? The Tucson Roller Derby is hosting this event of four mini bouts (20 minutes each) to determine which house will win this year. (Last year, it was Hufflepuff!) Here’s where it really gets fun: Audience members can pay to cast spells on the court, which range from a $5 Confundus charm to make everyone skate in the opposite direction around the court to a $10 Patronus charm to give one team an extra player to that most Unforgivable (and $100) of curses, Avada Kedavra, where you can make a skater of your choice sit in box for an entire game. All proceeds go to the nonprofit Tucson Roller Derby, and The Unday provides live entertainment. Doors open at 6 p.m. Saturday, June 9. Tucson Indoor Sports Center, 1065 W. Grant Road. $15 at door, presale tickets $10 adults, $5 kids 11 to 17. Kids 10 and under free with the purchase of an adult ticket. District Photo Studio Grand Opening. Tucson has a new photo studio, so whether you need family photos, an engagement shoot, a boudoir session, corporate portraits, someone to photograph you wedding, or one of those fake maternity shoots where the couple is tenderly holding a giant burrito, owners Birdie and Justin will have you covered. At the grand opening, there’ll be a food truck, a DJ, and a chance to check out the studio and learn about gear rental, studio rentals and membership options. 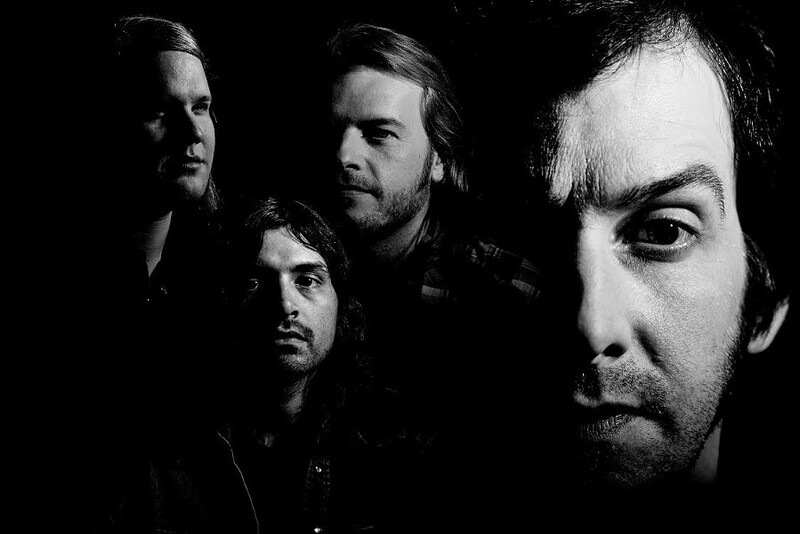 Come a little earlier if you’re more into the tour aspect, and a little later if you just want to party. 6 to 10 p.m. Friday, June 8. District Photo Studio, 657 W. St. Mary’s Road, Studio C10. Free.